The Vancouver group reported Jan. 17 that it gave $11 million to 48 projects throughout the Pacific Northwest. More than a dozen Portland-area organizations received about $3 million in grants Thursday from the M.J. Murdock Charitable Trust in Vancouver, Wash. The trust reported Jan. 17 that it gave $11 million to 48 projects throughout the Pacific Northwest. Grants went to the Chehalem Cultural Center in Newberg, the Oregon Community Foundation, OMSI, Portland YouthBuilders, Reed College, University of Portland and Portland Leadership Foundation. "From helping refugees find community and build a home to supporting vulnerable children to addressing the mental health needs of our neighbors, these grants represent the critical work that countless nonprofits, corporate foundations, family foundations and volunteers are coming together with representatives of the business, government, health care, faith and education sectors to address in creative and sustainable ways," said Steve Moore, M.J. Murdock Charitable Trust's executive director. The trust was created in 1975 by the estate of Melvin "Jack" Murdock to support organizations that strengthen educational, social, spiritual and cultural base in creative and sustainable ways in Alaska, Idaho, Montana, Oregon and Washington. • Aids Orphan Education Trust of Portland, $152,500 to establish development program and increase international outreach. • Chehalem Cultural Center of Newberg, $200,000 for new construction. • Compassion Connect Inc. of Portland, $213,000 to establish regional office. • Linfield College of McMinnville, $30,000 for a new position in biology research. • Oregon Community Foundation of Portland, $200,000 for the Special Olympics of Oregon Fund. 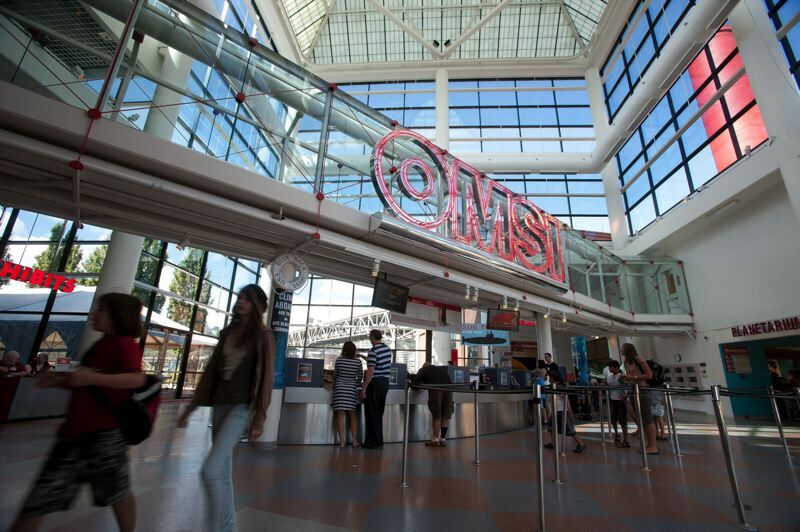 • Oregon Museum of Science and Industry of Portland, $500,000 for new exhibits. • Oregon Rail Heritage Foundation of Portland, $500,000 for historic restoration and to expand informal education. • Portland Leadership Foundation of Portland, $266,000 for new staff and to expand services. • Portland YouthBuilders of Portland, $200,000 for facility renovation to serve low-income young people. • Reed College of Portland, $30,000 for a new position in chemistry. • Society of St. Vincent de Paul Portland Council, $164,500 to establish development program to serve low-income people. • Trillium Family Services of Portland, $300,000 for a new Corvallis facility. • University of Portland, $30,000 for a new position in biology.